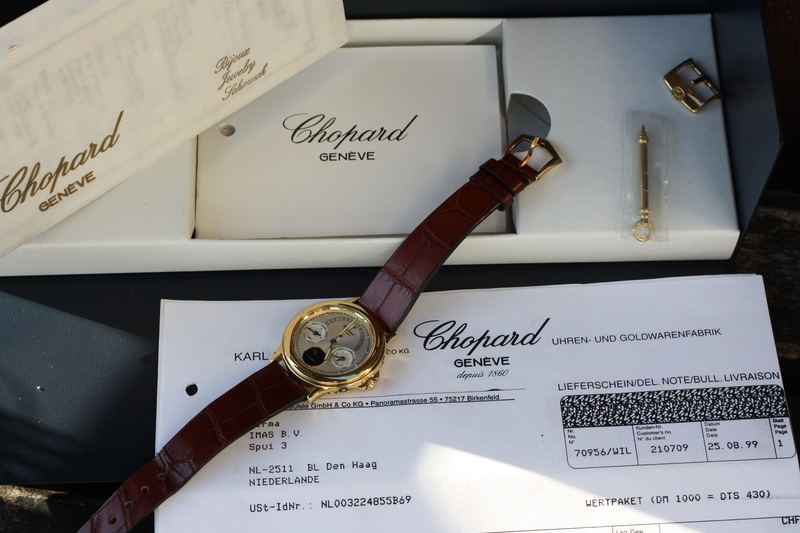 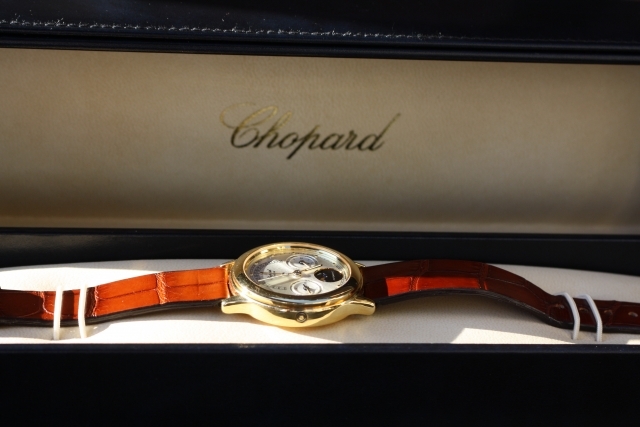 Extremely rare and highly sophisticated wristwatch by Chopard. 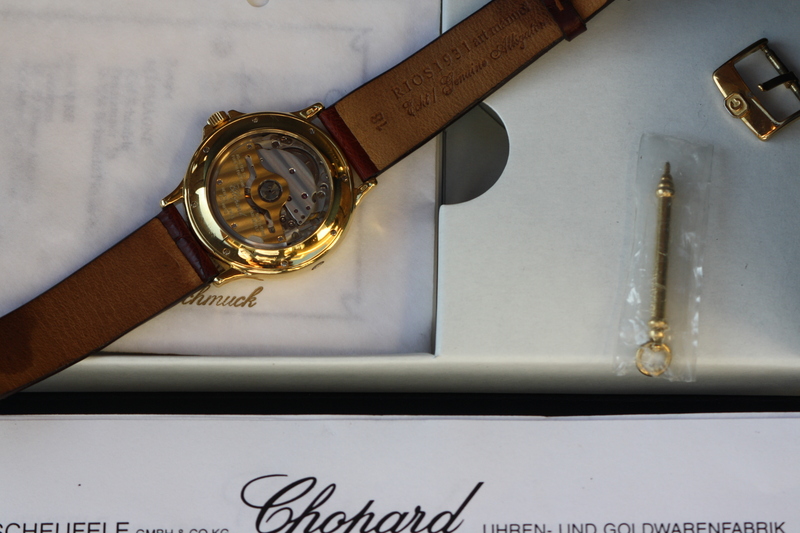 This is one of the most complicated watches made by the house of Chopard. 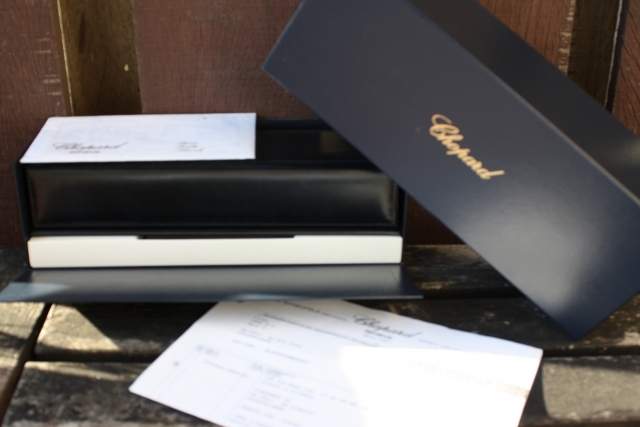 It comes with papers, invoices, booklets and original box. 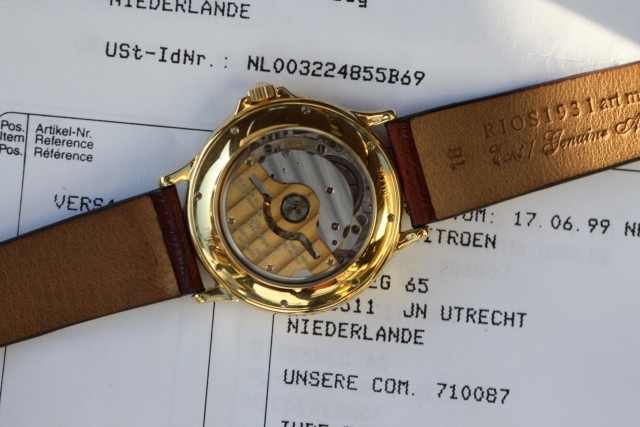 The condition of the watch could be considered as mint. 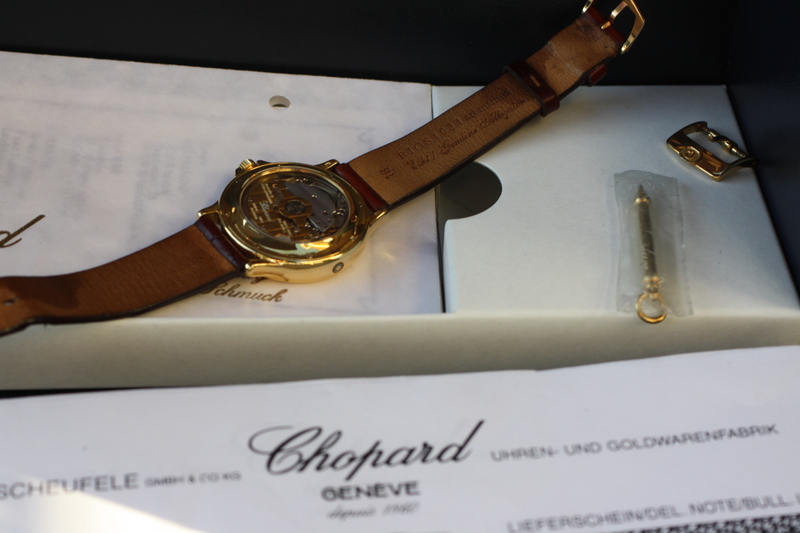 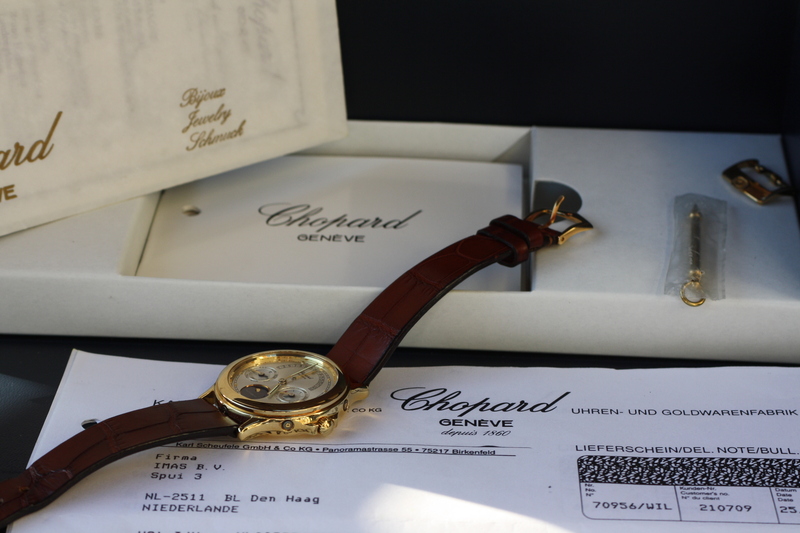 The watch has originally been sold in 1993, after 6 years the former owner received a full new watch in from Chopard Geneve under guarantee. The condition of the watch is mint and practicly unworn. 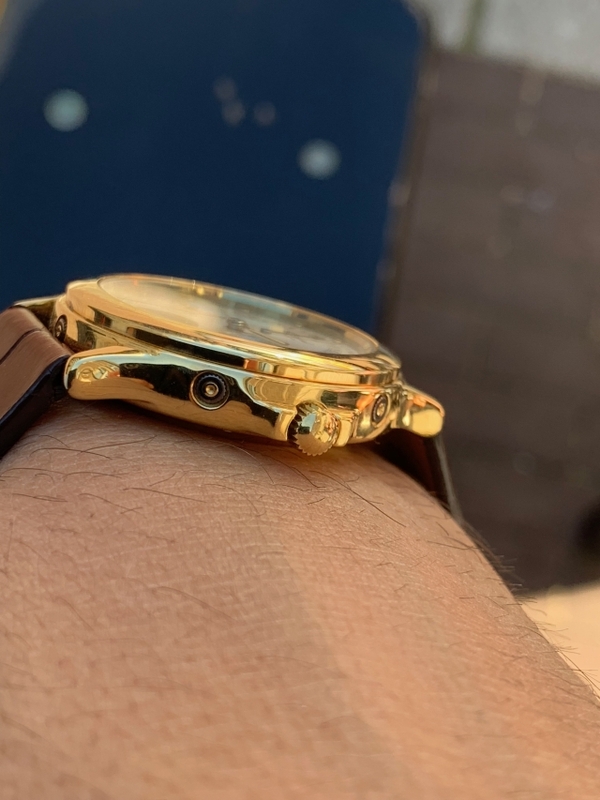 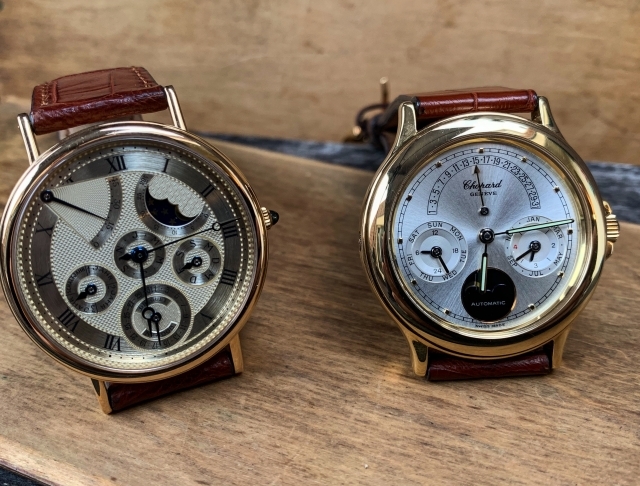 The movement inside this gentlemens watch is a creature by Svend Anderssen based on the Jaeger Lecoultre Caliber 888, further modified by the Chopard master watchmakers. 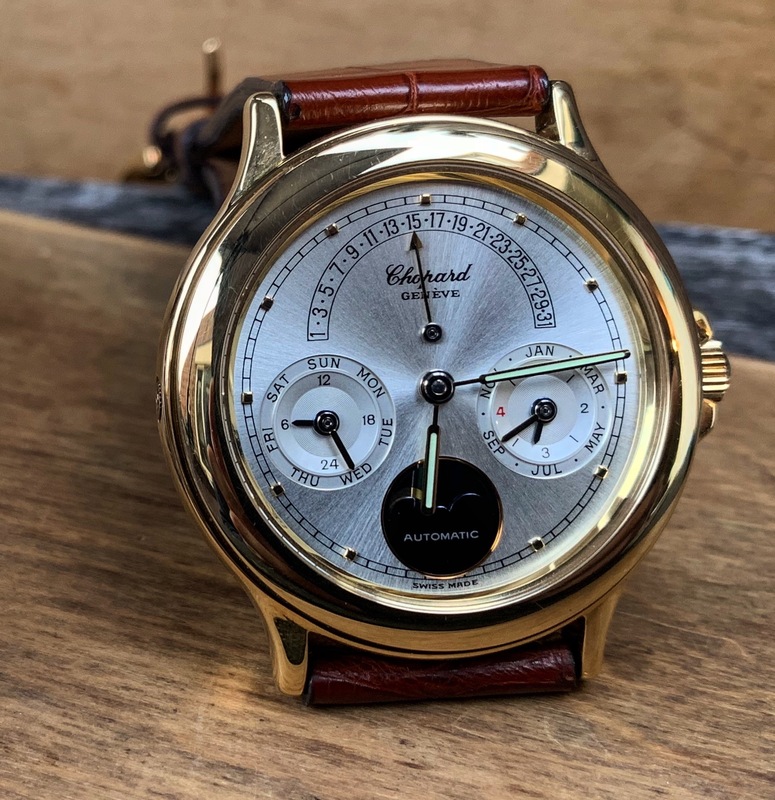 Chopard acquired the rights to use the Andersens’s calendar mechanism and working in-house, the new perpetual calendar movement was enrobed in a luxurious gold case and Chopard’s top clients were offered the fancy “Luna d’Oro” as a limited edition. 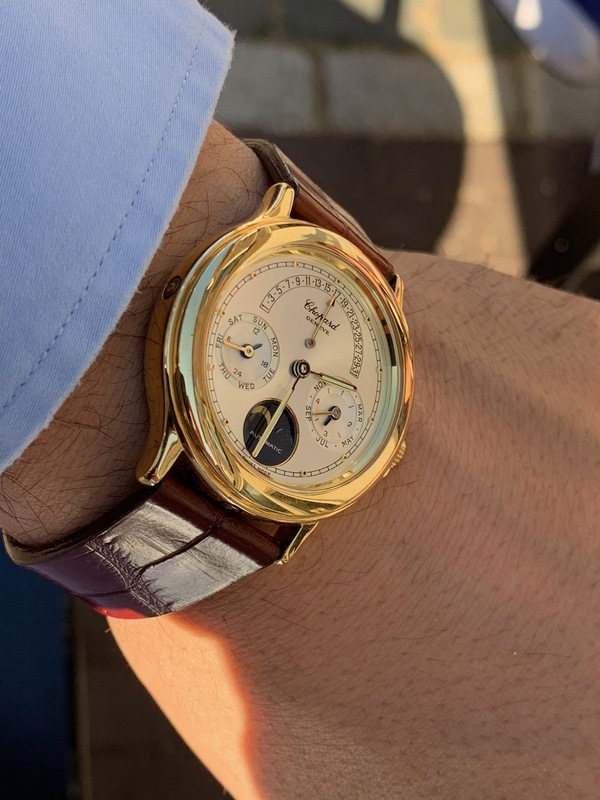 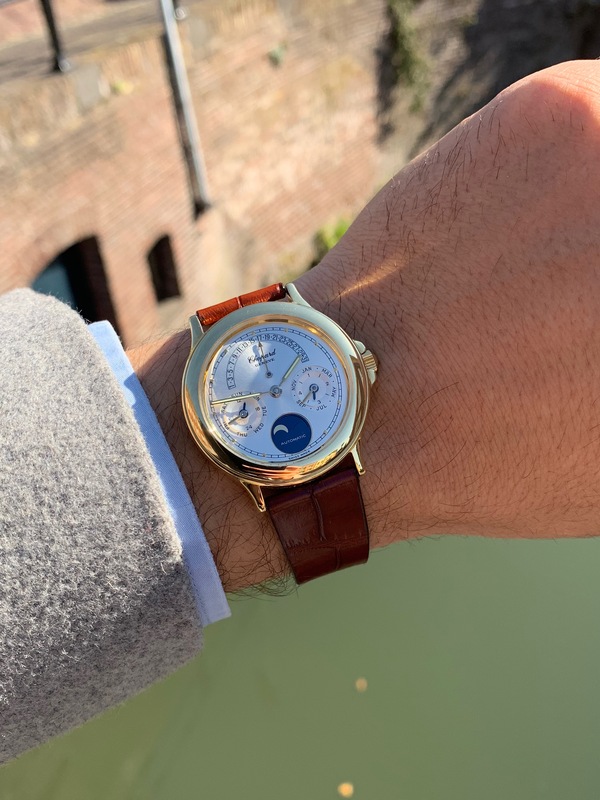 This “Golden Moon” refers to the moonphase display on a perpetual calendar watch as well as the lunar disc made of solid gold. 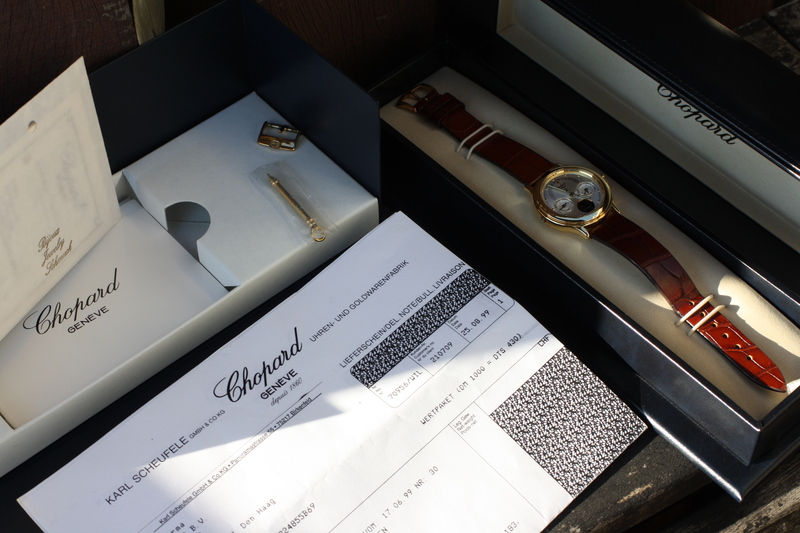 Later, a platinum limited edition was issued. Through the mid-1980s, Chopard watchmakers devoted much time to developing their technique and craftsmanship for mechanical perpetual calendar wristwatches with smaller spaces for the complicated movement. 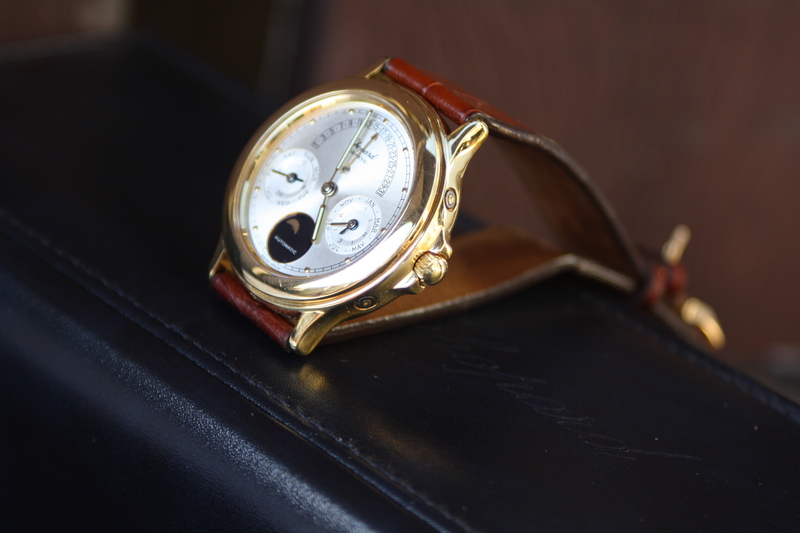 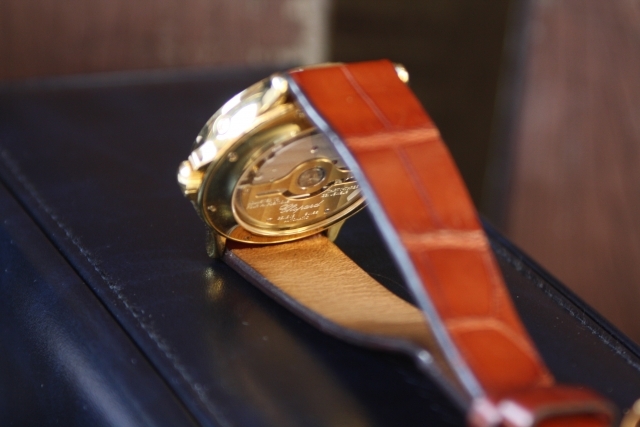 The so called ‘Quartz Crisis’ put a dampener on progress as 90% of sales revenue came from quartz movement watches. 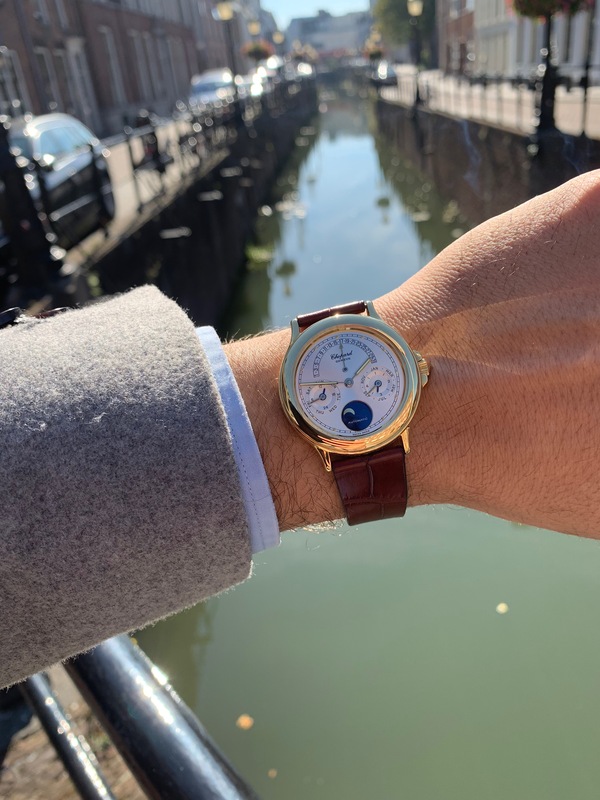 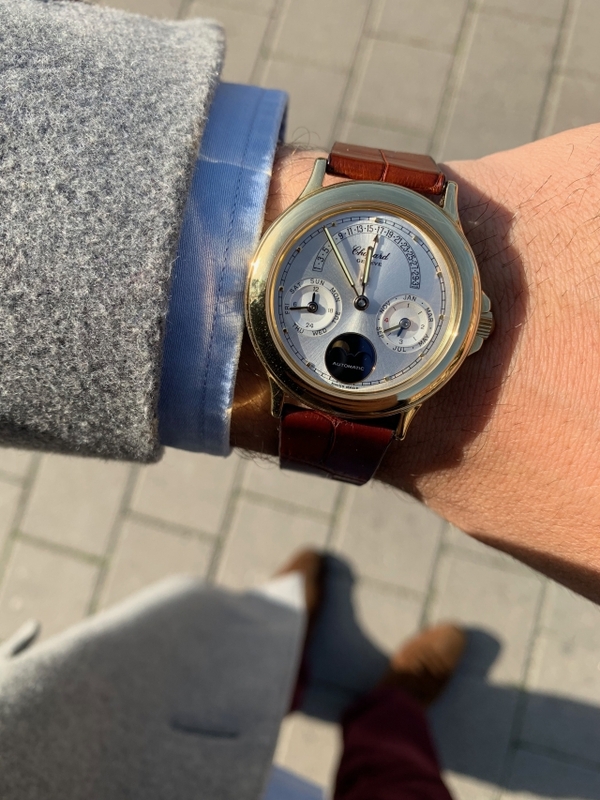 As luck would have it, independent watchmaker Svend Andersen invented an innovative perpetual calendar mechanism and was trying to find an industrial partner. 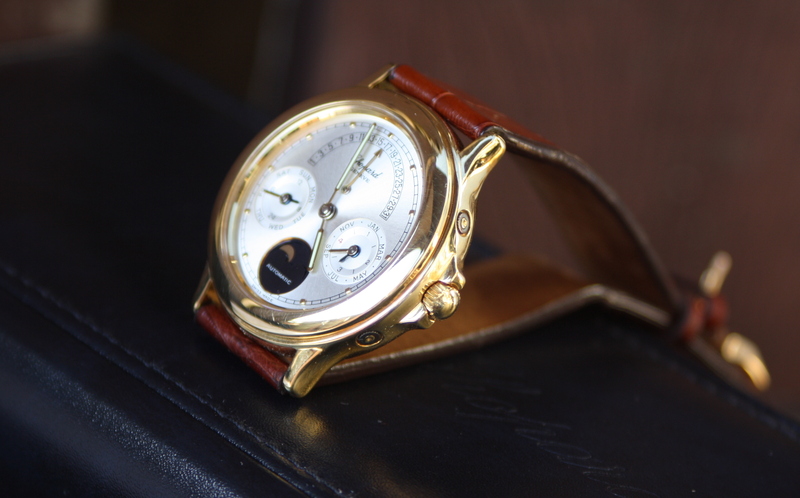 The prototype was observed and tested minutely as it had a retrograde date display. 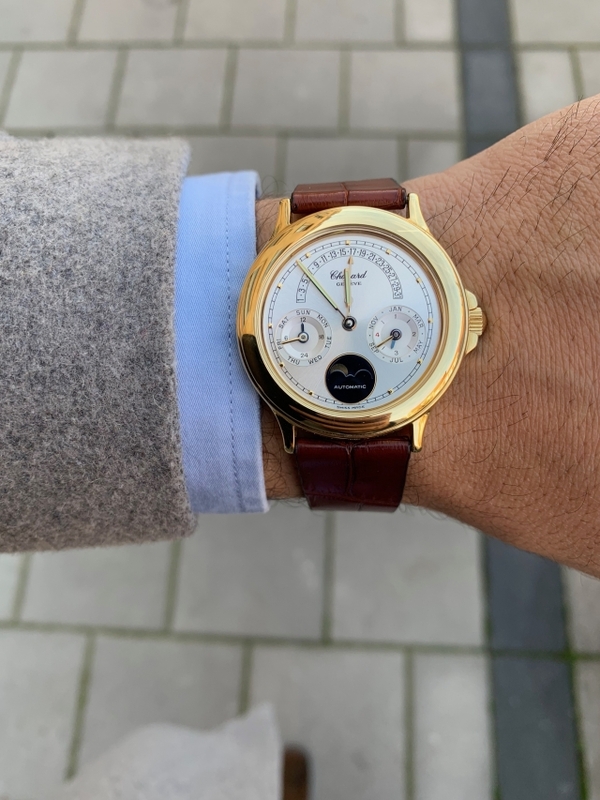 The date pointer progressed by daily increments across a semi-circular sector until it reached the 28th, 29th, 30th or 31st, and depending on the calendar mechanism, would retract back to the 1st of the next month.